In 2004, when author Chris Bohjalian’s Before You Know Kindness (Vintage Books) was published, I was looking for a good book, not necessarily one with themes around animal rights, food choices, and humane attitudes. I confess I picked up the book at the library because it sounded like an absorbing family saga to take on a summer vacation. And it was. As a vegetarian not yet converted to veganism, but as someone who always considered myself an animal lover and a person who chooses kindness, I found myself intrigued with the idea of a main character who is an outspoken animal rights activist. His children roll their eyes at the vegan butter on the dinner table and think of him as a “wacko,” but the book takes on serious and hard-hitting issues, specifically animal rights and gun violence. The title of the book is from the Naomi Shihab Nye poem Kindness (1995). I found Bohjalian’s website and sent him an email saying how much I enjoyed the book, especially the animal rights angle. He wrote back to me with the story of how seeing the treatment of lobsters in his native New England, including one dying a painful death on the side of the road after falling off of a seafood delivery truck, led him on the path to vegetarianism and animal issues. That same summer, Gourmet magazine published the controversial David Foster Wallace essay “Consider the Lobster.” I happened to listen to it read by the author a couple of summers later in the audiobook version of his essay collection Consider the Lobster and Other Essays (Little, Brown and Company, 2006). Consider the Lobster was written as a piece about the Maine Lobster Festival, and was probably commissioned as a fun culinary travel story. Jocelyn Zuckerman, the editor who sent David Foster Wallace to the lobster festival, referred to the essay as brilliant, dark and confrontational. Although not in the usual style for Gourmet, the magazine took a risk and published the lengthy piece that included what it might be like to be the lobster being boiled alive. While it’s not a light or cheerful read by any stretch of the imagination, I highly recommend it to anyone who is looking for thoughtful, provocative, and thoroughly researched writing on a tough topic. The entire collection of essays can be a bit grim. While the other essays are not about animal issues, they cover a range of topics that illustrate the lack of a humane approach to life in much of America. A recent release in the Young Adult market is Vincent and the Dissidents (Fathoming Press, 2018), Christopher Locke’s follow up to Persimmon Takes on Humanity (Fathoming Press, 2015). Vincent and the Dissidents is Book Two of The Enlightenment Adventures. While Persimmon is the plucky raccoon heroine with a good heart, trying to do the right thing for exploited animals and causing no harm to humans, Vincent the mink is a darker, frightening character, willing to kill humans to achieve his purpose of animal liberation. One reviewer referred to it as “a sometimes humorous, sometimes harrowing read.” Even though the books are classified as YA, they are not for the squeamish or faint of heart. Another YA title, The Lie-Catcher in the Primate House by Lindsay Crane (Print and Pixel Books, 2012), is a thriller centered on the smuggling of endangered species. Winner of the 2013 Nautilus Book Award, Silver Award, the novel uses factual situations—signing chimpanzees, the dangers faced by those who attempt to stop the smuggling, medical research—and weaves them into an exotic sounding yet extremely timely and relevant tale. The thoroughly researched novel is also a page-turner and offers great insight into wild animal conservation. Ashland Creek Press is a vegan-owned boutique publisher in Oregon, specializing in “books with a world view.” They list their publications as ecofiction, “which includes books in all genres about animals, the environment, and the planet we call home.” The two short story collections, Among Animals: The Lives of Animals and Humans in Contemporary Short Fiction (2014) and Among Animals 2, are a good introduction to the range of writers represented. Jennifer Caloyeras’s YA novel Strays, listed by Book Riot as a best book about dogs, is a poignant coming of age story of a troubled 16-year old girl and the change that a companion animal, in this case a 3-legged pit bull she is trying to rehabilitate, brings into her life. As a proponent of the healing power of the human-animal bond, I find this book to be a compelling read for all ages. Back to non-fiction, Jonathan Safran Foer’s acclaimed 2009 book Eating Animals (Little, Brown and Company) is a personal journey of discovery into how we justify our food habits, the myths we tell ourselves about where our food comes from, and how the author wanted to move forward as the birth of his first child approached. The book combines memoir, journalism, and philosophy as Foer reaches his own conclusion, which he caps off with the last line in the book (page 267), quoted from his grandmother, “If nothing matters, there’s nothing to save.” After reading the book as a required title in a course on humane education, I found myself awake at 4 a.m. reflecting on my own food stories, memories, and philosophies. If you are interested in dystopian fiction and satire, Don LePan’s Animals: A Novel (Soft Skull Press, 2010) might be worth a read. Set in an indeterminate future, the premise—that all species of nonhuman animals have become extinct—leads to an unclear line between “human” and “animal” that brings up questions of the justification of inhumane treatment of what are referred to as mongrels, increasing numbers of human children born with extreme disabilities. While not a book marketed for vegetarian or vegan readers, Kazuo Ishiguro’s 2005 Never Let Me Go (Vintage Books), shortlisted for the prestigious Book Prize, made me think twice about animal issues in its depictions of a future world in which we deliberately exploit other humans much the way we exploit nonhuman animals. Marketed as science fiction, don’t let that scare you off if you’re not a science fiction reader. It’s a haunting story of human connection and memory, with reflections on childhood, friendship, and secrets. Another work of popular fiction not written for the humane lit market but with strong themes of the human-animal bond and the healing powers of such bonds is Alice Hoffman’s Faithful (Simon & Schuster, 2016). The compelling main character, Shelby Richmond, is a lost soul, who finds her way through other lost souls, quite a few of whom happen to be the dogs she rescues. Shelby is a survivor, and a fighter when it comes to protecting her loved ones, human and animal alike. Should you be looking for a lighter read, try French journalist Armand Chauvel’s 2014 The Green and the Red: A Novel (Ashland Creek Press), translated by Elisabeth Lyman. Set in a small French town in Brittany, the novel is a romantic comedy centering on a vegetarian restaurant owner, Léa, and Mathieu, a marketing director for the giant pork producer trying to put Léa out of business in order to grab the valuable land her struggling restaurant occupies and upon which he plans to build a pork museum. Mathieu poses as a vegetarian to infiltrate the local animal rights community, not anticipating that he and Léa will be attracted to one another. There are also serious elements to the book as we see Mathieu’s progression through the world of animal activism. Journalist Chauvel turned vegan after seeing the film Earthlings. If you are looking for books to share with young children, there are many fiction titles to choose from. Check out Jessica Almy’s site VegBooks, a media review site for helping parents and teachers support vegetarian and vegan children. 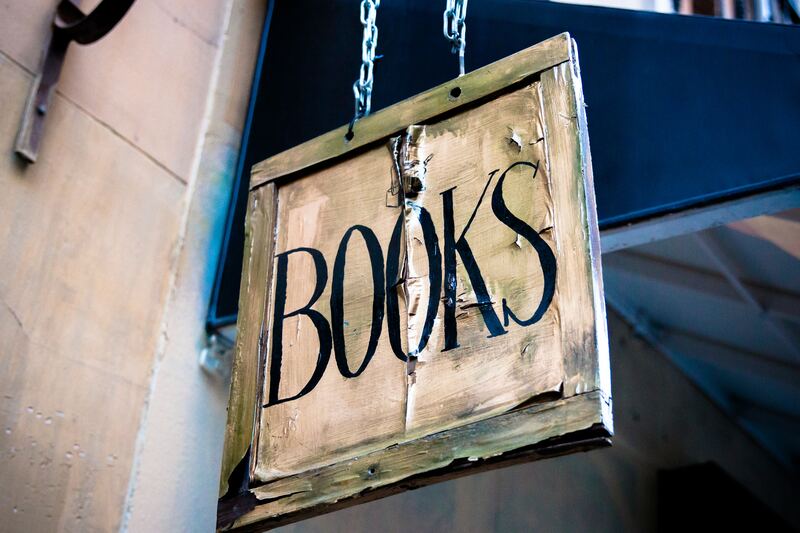 VegBooks hosts over 800 book, movie, and other media reviews from a varied group of contributors. For non-fiction for young children, a powerful title is writer and illustrator Ruby Roth’s Vegan is Love: Having Heart and Taking Action (North Atlantic Books, 2012), a great introduction for children (and parents) to learn about the effects of our daily choices.